Tatsuo Kage received his formal training in History. He is specialized in the German Weimar Republic and the declining process of its democracy. Prior coming to Canada, he met his wife in Japan, a Montrealer, with whom he had four children. The family moved to Vancouver in 1975, so he could pursue his research in Political Science and History. Once in Canada, Kage became an activist working on social justice and immigrant issues alongside the Redress movement for the incarceration of Japanese Canadians during and after World War II. Kage donated a total of 52 photographs. 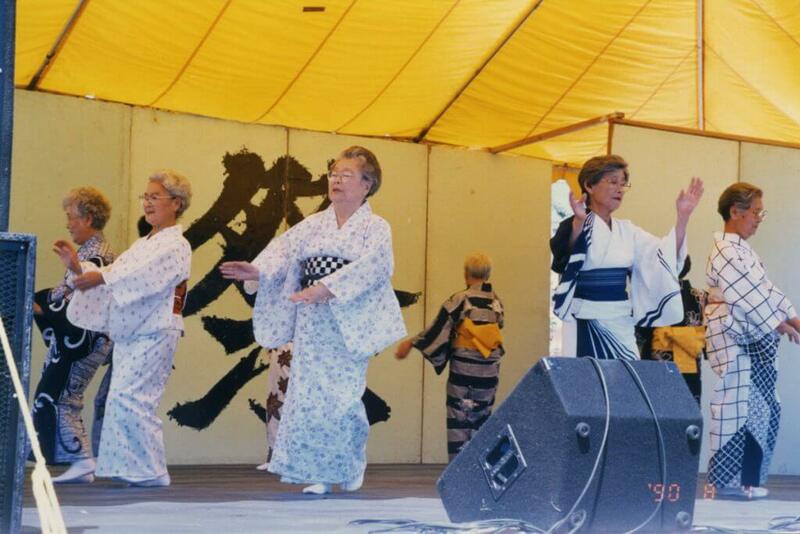 Dancers at Powell Street Festival, Vancouver, BC, 1990. Image courtesy Tatsuo Kage. 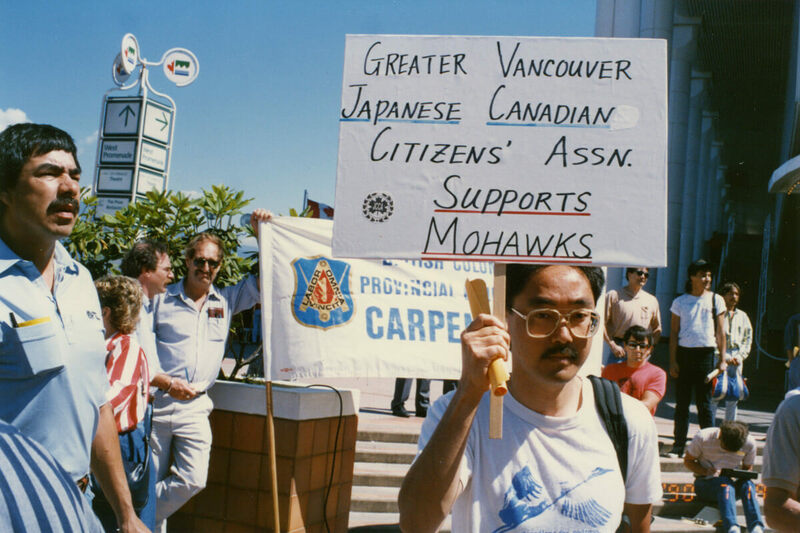 JCCC’s protester supports the Mohawks, BC, 1990. Image courtesy Tatsuo Kage. In 1997 Kage was invited by the support organization for Saburō Ienaga’s lawsuit on history textbook censorship and to attend the final verdict at the Supreme Court in Tokyo. He had been an organizer for the support campaign on the issue in Canada. 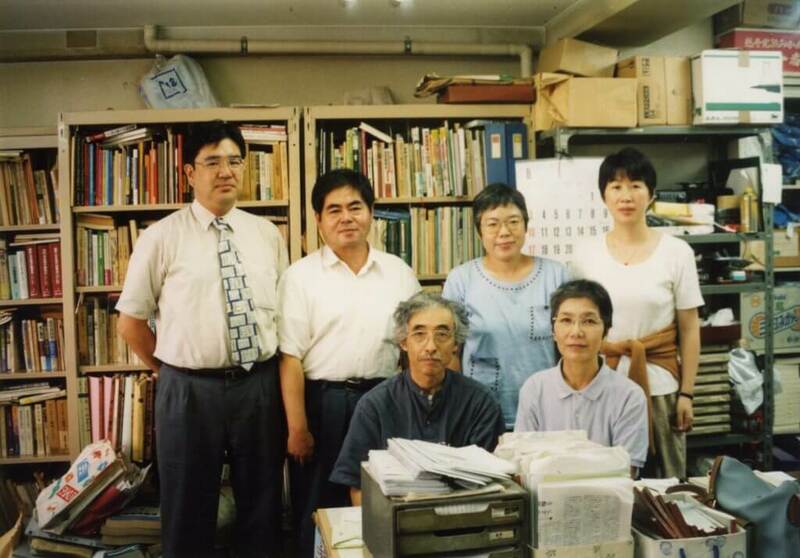 The photo was taken at the organization’s office in Tokyo with the campaign’s organizers.